When Edward R. Murrow penned those heartfelt words in the early 1930s he wasn’t describing the influence of a love interest, a CBS colleague, or his wife Janet on his legendary broadcasting career. Instead, the 1930 graduate of then Washington State College was paying homage to one of his college professors, speech instructor Ida Lou Anderson. As the Greek philosopher Socrates is credited as saying, “The only true wisdom is in knowing you know nothing.” Murrow undoubtedly viewed Anderson as the fount of his own enlightenment. And well that he would. It can be argued that someone other than Murrow would be regarded as the patron saint of American news broadcasting were it not for Anderson. 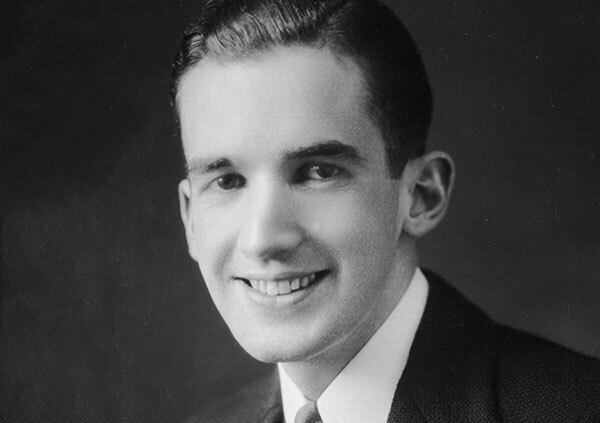 Though little noted, Murrow began college majoring in business administration. Shortly after he signed up for one of Anderson’s classes in 1926—her first year of teaching—he switched his major to speech, setting the stage for the fame that followed. Born in 1908 in Polecat Creek, North Carolina, Murrow was the youngest of three boys born to Roscoe and Ethel Murrow. The family lived in a log cabin without electricity or plumbing. He later described the setting as “about 40 acres of poor cotton land, watermelons, and tobacco,” a place where he trapped rabbits, ate melons, and listened to his maternal grandfather tell “long and intricate” stories of the War Between the States. Murrow’s mother Ethel, a former Methodist, converted to strict Quakerism after marrying Roscoe, whose ancestors included a Quaker missionary. Ethel was a strict disciplinarian and nightly required each of her sons to read aloud a chapter of the Bible. From her, the boys inherited inverted phrasing including “I’d not,” “it pleasures me,” and “this I believe,” later chosen as the name of the CBS Radio Network program Murrow hosted from 1951 to 1955. Egbert (he changed his first name to Edward when he was in his 20s) was just 6 when his family moved across the country to homestead near Blanchard, Washington, in Skagit County, 30 miles south of the Canadian border. His dad eventually found work as a brakeman on a local logging railroad and later became a locomotive engineer. The boys attended the local two-room school and worked on nearby farms during the summer, hoeing corn, weeding beets, and mowing lawns. But it was his skills in leading the high school debate team that attracted the most attention. Once English teacher Ruth Lawson convinced Murrow to join three girls on the team, the Edison quartet became recognized as the best in the region. In a foreshadowing of the future, Murrow was the star. Because he didn’t have the money to attend college immediately after high school, Murrow spent a year working in the timber industry, saving his earnings. It wasn’t a spur-of-the-moment decision; he had worked in logging camps each summer since the age of 14. Murrow never forgot the humble, working class environment in which he grew up. It would profoundly influence his views about justice and fairness—particularly when the underrepresented were involved—for the rest of his life. 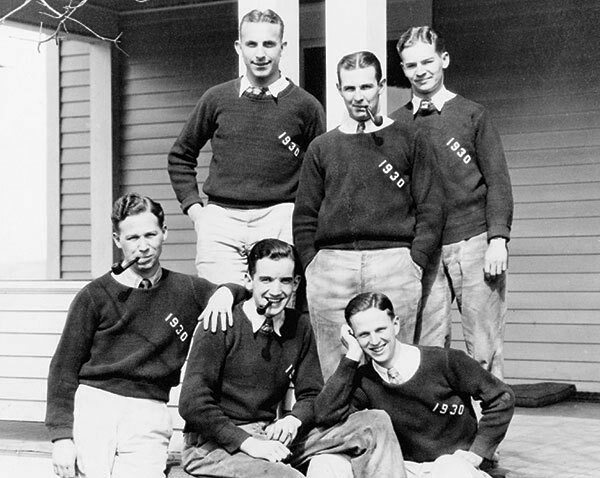 Murrow followed the example of his brothers and enrolled at WSC for fall semester 1926. Halfway through his freshman year he met Ida Lou Anderson, a 1924 WSC graduate herself, who had returned to Pullman to teach after earning a master’s degree in speech at the University of Chicago. Anderson had enrolled as an undergraduate uncertain about her purpose in life. Childhood polio had left her short of stature, frail, and with a hump on her back. To walk, she had to move her spindly legs forward with a twisting motion at the hips. Feeling ostracized because of her appearance, she nearly dropped out of school. But those feelings vanished when she met WSC professor Nathanial E. Reeid, who, as head of the drama and speech department, transformed it into one of the best in the Northwest. Reeid recognized and encouraged Anderson’s oratorical talents and love of poetry. Her class notebooks, preserved in the WSU archives, detail Reeid’s lectures, from the anatomical explanation of voice to the interpretation of poetry. Fueled by a growing self-confidence and her newly earned graduate degree, Anderson quickly became one of the best-liked teachers on the Pullman campus. From all accounts, Anderson admired intelligence, integrity, and talent. She took a high degree of interest in all of her students, often assigning them works such as Marc Antony’s funeral oration and requiring that it be memorized and recited in class, complete with proper diction and emphasis. In Murrow, Anderson found the ideal protégé—and provided him the intellectual stimulation he craved. 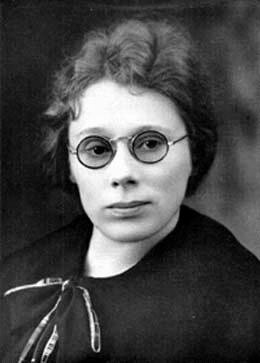 Through her classes and during private tutoring sessions, she taught him the classics, rhetoric, and argumentation. She adjusted and tuned his speaking ability. To simulate the conditions of radio broadcasting, she would have him sit behind a screen to read aloud. It was a philosophy that served Murrow well throughout his career, particularly in those moments when he braved the bombs of World War II London, the horrors of the Buchenwald concentration camp, and the threat to civil liberties represented by Senator Joseph McCarthy. Looking back, the stars seemed properly aligned at WSC to mold and sculpt Murrow into the broadcasting immortal he became. For though the tiny, underfunded college of the time lacked many resources, it offered the talents of several top-notch faculty who influenced Murrow’s education and was home to one of the handful of campus radio stations operating in the country. In addition, the college taught some of the few—and perhaps the only—radio-broadcasting course offered in the nation at the time. Commercial radio stations had only begun operating on a regular basis in 1920, but visionary faculty member Maynard Daggy anticipated the impact of the new medium and led the effort to offer a class. Daggy required students to produce their own radio programs, which were then aired on KWSC, the college station. Murrow was still a mere mortal then: he received a B for the class. And, of course, there was Anderson. In addition to the fruitful student advisor relationship she and Murrow enjoyed, Anderson remained an influence and friend until her death. Though they rarely met in person after he graduated, she continued to send him letters and telegrams, largely focused on his professional and particularly his radio presence. Murrow immersed himself in extracurricular activities at WSC, which probably contributed to an uneven academic record that shows A’s in speech and B’s and C’s in other courses. One of his former classmates claimed Murrow didn’t study a great deal, relying instead on what seemed like a photographic memory. His extracurricular activities were broad: four-year participant in the ROTC program (he graduated as Cadet Colonel, signifying the top military student on campus), actor in several plays (some students thought he had a future in Hollywood), member of the Gamma Mu chapter of the Kappa Sigma fraternity. He was elected president of the junior class and followed that up by winning the student body presidency senior year. To support himself, Murrow washed dishes at a sorority, moved scenery and backdrops for campus stage productions, and unloaded freight at the railroad station in Pullman. Each summer, he returned to the west side of the state to resume working in the timber industry. In 1930, Murrow demonstrated unusual personal courage in an arena unrelated to journalism: race relations. He was fresh out college at the time, serving as president of the National Student Federation of America (NSFA), the largest student organization in the United States. It was a position to which he was elected in 1929 after he delivered an impassioned speech to NSFA convention delegates exhorting college students to pay more attention to national and world affairs and devote less time to campus social activities, including football and fraternities. Living in New York City to run the national office of the NSFA, Murrow began planning the organization’s next convention, which was to be held in Atlanta. Murrow decided he would hold an integrated convention—a preposterous idea given the segregated Deep South of the era. Howard University was the only historic black college that belonged to the NSFA, so Murrow recruited half a dozen additional black schools, urging them to send delegates to Atlanta. When the federation’s executive committee met in advance of the convention, Murrow’s plan, not surprisingly, generated stiff opposition. But, in another foreshadowing of his powers of persuasion, by the end of the discussion he had convinced committee members that holding an integrated convention was their idea from the get-go. Then Ed made an appointment with Adolf Ochs, publisher of the New York Times. He told Ochs exactly what he intended to do and asked Ochs to assign a southern reporter to the convention. This later proved valuable when a Texas delegate threatened to disrupt the proceedings. The Times reporter, an Alabamian, asked the Texan if he wanted all this to end up in the Yankee newspaper for which he worked. The Texan backed off. Housing the black delegates was not a problem, since all delegates stayed in local college dormitories, which were otherwise empty over the year-end break. The real test of Murrow’s experiment was the closing banquet, because the Biltmore was not about to serve food to black people. Murrow solved this by having white delegates pass their plates to black delegates, an exercise that greatly amused the Biltmore serving staff, who, of course, were black. Murrow was reelected president of the NSFA by acclamation. Another 34 years would pass before the segregation of public facilities would be prohibited by law. Murrow’s legacy is grounded in the influential role he played in shaping radio and television news programs during the formative years of those industries. From the opening days of World War II through his death in 1965, he had an unparalleled impact on broadcast journalism. His voice was universally recognized, and a generation of radio and television newscasters emulated his style. His pioneering television documentaries have more than once been credited with changing history, and to this day Murrow’s name is synonymous with courage and perseverance in the search for truth. The IIE experience led directly to the beginning of his CBS career. IIE secured a weekly lecture series called Last Week Abroad on CBS radio in late 1934, which Murrow helped organize. The CBS contact, Fred Willis, was a former friend from their days in the National Student Federation of America. Aware of Murrow’s talents and impressed by his work, Willis suggested Murrow for a newly created administrative position at CBS, director of talks to coordinate broadcasts on current issues. It was exactly the opportunity he needed. Just two years later, in 1937, CBS asked Murrow to go to London and serve as director of a one-man bureau to monitor the rising political tensions rooted in Nazism. Only 29, he arranged cultural programs and interviewed leaders. As the second world war loomed, he began assembling the team of outstanding reporters later labeled “Murrow’s Boys,” a group that included Eric Sevareid, Howard K. Smith, and Richard Hottelet. When war broke out in 1939, the team served as the nation’s eyes and ears in reporting the biggest story the world had known. Murrow became a household name in the United States during the Nazi bombing blitzes of London, broadcasting live from rooftops. He also flew on 25 Allied combat missions in Europe, providing reports from the planes despite objections from CBS executives. His office in London was bombed out on three different occasions during the Blitz, but Murrow escaped injury each time. Murrow’s skill at providing sparse but vivid descriptions marked by a calm, grave delivery—clearly shaped by his college speech instructor Ida Lou Anderson—captured listeners’ attention. Anderson, in fact, is credited with influencing two of Murrow’s signature broadcast lines. During the London Blitz, he began regularly opening his broadcasts with the phrase, “This is London,” with the emphasis on this. Following a slight pause, he finished the phrase. At the end of 1940, as Londoners endured nightly bombings, they often ended conversations with “good night, and good luck.” Then Princess Elizabeth used almost the same words in a live radio broadcast in October, after which Murrow ended one of his broadcasts with “Good night, and good luck.” Anderson insisted he make it his own, giving birth to another of Murrow’s famous catchphrases. After the war, Murrow returned to the United States and considered a variety of job offers—among them the presidency of Washington State College and U.S. assistant secretary of state. But he decided to stay at CBS and soon found himself working with producer Friendly on his radio program, Hear It Now. The program evolved to become the TV news and public affairs program See It Now in 1951, the early days of television. 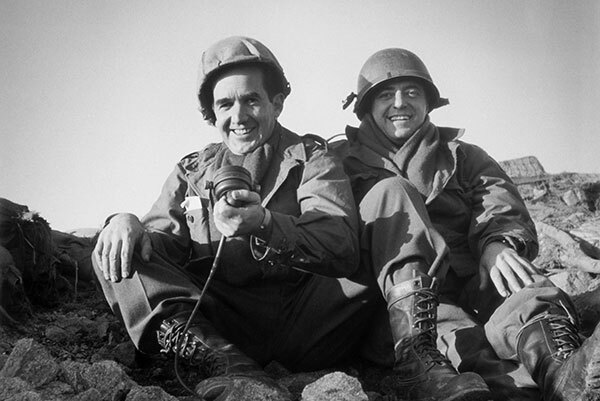 One of the program’s broadcasts became another defining moment in Murrow’s legacy. Murrow, Friendly, and their team produced a special See It Now report that aired March 9, 1954, about Senator Joseph McCarthy and the crusade he was conducting against alleged Communist influence in the United States. The show criticized McCarthy, using excerpts from his own speeches and proclamations. The broadcast unleashed a nationwide backlash against McCarthy and is regarded as a turning point in television history. CBS received tens of thousands of letters, telegrams, and phone calls praising the broadcast. McCarthy’s political influence ebbed rapidly soon after. On December 2, 1954, the U.S. Senate adopted a resolution censuring McCarthy for conduct unbecoming to a senator. Television also provided Murrow with the opportunity to call the public’s attention to the poor, the forgotten, and people of color. Poverty, the Supreme Court’s 1954 school desegregation decision, the link between lung cancer and smoking, and the plight of migrant agricultural workers were among the topics of memorable broadcasts he produced. Murrow’s independent thinking, critical broadcasts, and especially his pointed criticisms of the broadcasting industry alienated CBS administrators and sponsors. CBS chairman Bill Paley finally ended the four-year run of See It Now in 1958, after one of many philosophical clashes with Murrow, whom he considered a friend. “We are currently wealthy, fat, comfortable, and complacent. We have currently a built-in allergy to unpleasant or disturbing information. And our mass media reflect this. But unless we get up off our fat surpluses and recognize that television in the main is being used to distract, delude, amuse, and insulate us, then television and those who finance it, those who look at it and those who work at it, may see a totally different picture too late. 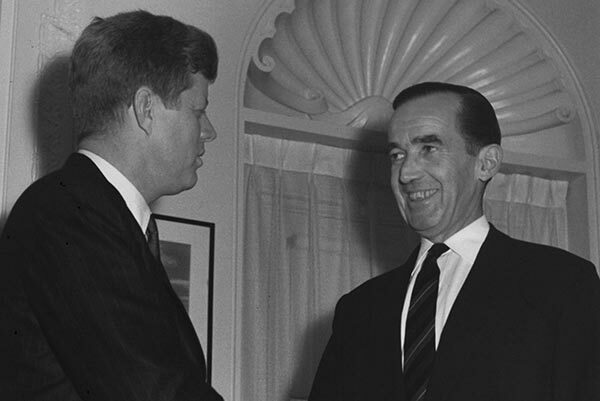 The speech further damaged the Murrow-Paley relationship. By the late 1950s, most of Murrow’s programs had been cut, salary negotiations had stalled (he was earning a higher salary than the network’s president), and Murrow was reduced to delivering occasional segments for CBS Reports. Clearly, the end of his CBS career was rapidly approaching. Murrow began mulling other opportunities. He was encouraged to run for a U.S. Senate seat representing New York during the 1950s and for the governorship of the state against Nelson Rockefeller in the early 1960s. Each time, he rebuffed the overtures. 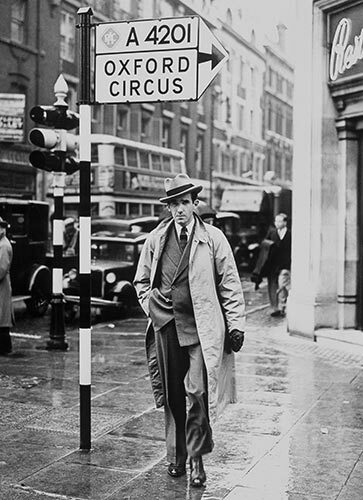 BBC proposed that Murrow produce a television series about contemporary England. Finally, in 1961 he accepted John F. Kennedy’s offer to become the director of the United States Information Agency (USIA). It seemed like the perfect fit, given Murrow’s background, interests, and experience in international affairs. The USIA managed the public image of the United States abroad and was responsible for the Voice of America broadcasts worldwide. Established in 1953 and headquartered in Washington, D.C., the agency’s 12,000 employees managed the nation’s presence in more than 84 countries. Among its major activities at the time were offering services to youth and labor groups, operating libraries and friendship centers, and producing movies and providing press and publication services. Murrow served as head of the USIA for three years. He made several trips abroad to visit the agency’s field offices. Back home he emphasized the hiring of more African Americans to high ranking USIA positions. The agency also began recruiting employees at historically black colleges. The first woman was appointed to a top senior position at USIA during his leadership. 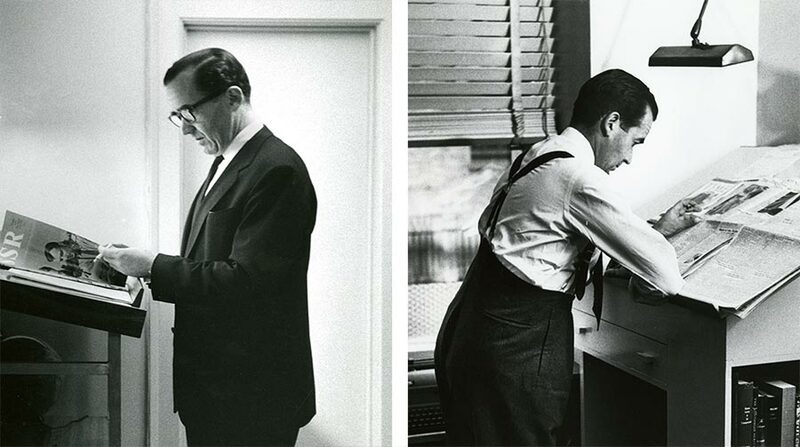 But the non-stop years of a heavy workload, stress of constant deadlines while working in the international spotlight, and his life-long chain smoking habit (it was estimated he smoked 60 to 65 Camel cigarettes a day) finally began to exert a toll on Murrow’s health. He suffered repeated episodes of illness; his left lung was removed due to cancer in October 1963. As his health failed, Murrow offered his resignation as USIA director to President Lyndon Johnson following Kennedy’s assassination in November. In January 1964, Johnson accepted the resignation. 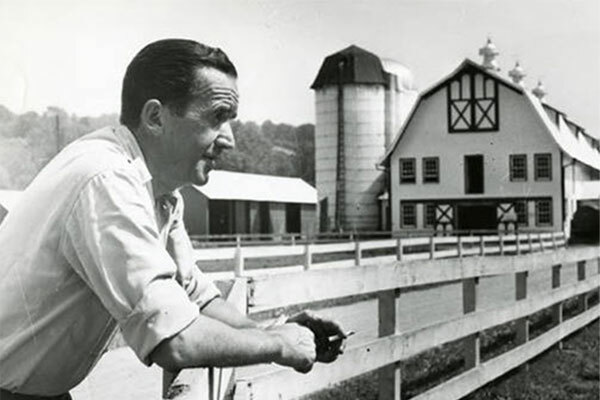 Murrow retired to his farm in Pawling, New York, to live out his final days. He died at home on April 27, 1965, two days after his 57th birthday. How does one sum up a legend? Perhaps a review of the honors he received and the tributes that followed his death provide the most helpful means to understand his impact. The friends of Ed Murrow are to be found in all walks of British life. They will remember a remarkable man who was a unique friend of this country. He was an American who identified himself with Britain when our fortunes were at their lowest and he understood with great clarity the power of the medium of communication that he served. Successive British governments have reason to be grateful to him for his presentation of the nation’s story to those who found it difficult to understand that a tiny island could be so important to the future history of the world. Queen Elizabeth had honored Murrow for those efforts by naming him an Honorary Knight Commander of the Order of the British Empire just weeks before his death. He received similar honors from the governments of Belgium, France, and Sweden. Murrow racked up numerous honors during his lifetime, including the Peabody Award for excellence in broadcasting in 1943, 1949, 1951, and 1954. He received 9 Emmy awards, a Grammy Award for Best Spoken Word Album, and the Alfred I. DuPont Award, considered the broadcast equivalent of the Pulitzer Prize. He was inducted into the Radio Hall of Fame in 1988 and received 2 stars on the Hollywood Walk of Fame, one for radio and one for television. Among the 15 honorary degrees awarded to Murrow was one from WSU, presented in 1962 when he returned to campus to deliver the commencement address. Several movies have been produced about Murrow’s life. The most recent, the 2005 Oscar-nominated Good Night, and Good Luck, co-starred and was co-written by George Clooney.